Also referred to as simply Dupont, the Dupont Circle neighborhood is a stylish, safe, and fun part of Washington DC. Filled with embassies, restaurants, and gorgeous architecture, the area is home to a fashionable and diverse population. 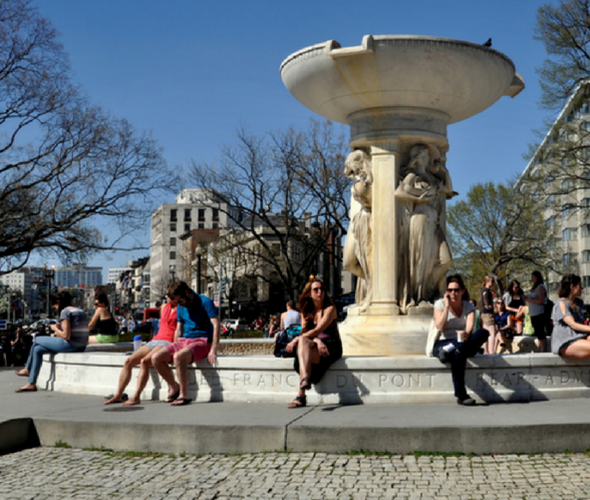 Developed in the last quarter of the 19th century, DC’s Dupont neighborhood fans out in all directions from Dupont Circle and its iconic Rear Admiral Samuel Francis Dupont Memorial Fountain. The park located within the circle is famous for the chess players who gather there. 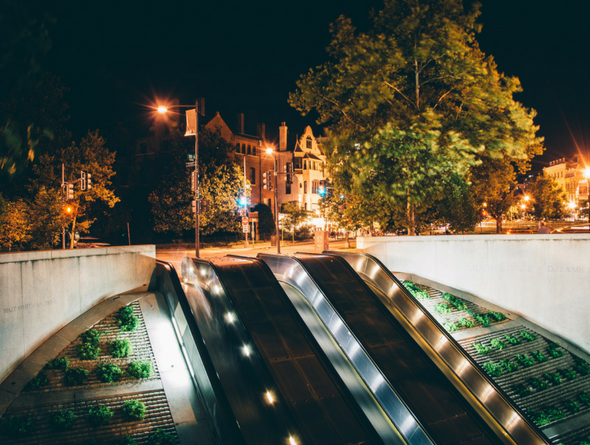 With its tree-lined streets, numerous green spaces, and lovely row homes, Dupont Circle is considered one of the city’s most beautiful neighborhoods. Though there are numerous historic mansions and embassies scattered throughout the area, the location’s sensibility is more intellectual and artsy. Some of the nation’s most prestigious think tanks are located here as are research institutions and museums. The neighborhood is extremely safe, the residents are friendly, and there is a fun vibe that mixes old-world charm with new-world vitality. The people who live here are within easy walking distance of downtown and the White House. There’s plenty to do in the Dupont area. Small shops and bookstores as well as popular art galleries, restaurants, coffee houses, bars, and clubs line its commercial streets, Connecticut Avenue, P Street, and 17th and 18th Streets. They are typically filled with neighborhood residents and tourists alike. Bicyclists and pedestrians love the easy access to downtown. The FRESHFARM Dupont Circle farmers market takes place every Sunday all year long. Winthorpe Design & Build is a DC area home remodeling firm based in Highland, MD. 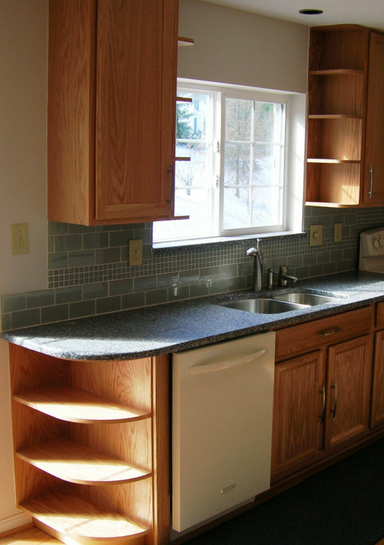 For nearly 30 years we’ve been designing and remodeling kitchens and bathrooms for homeowners throughout Washington DC, Maryland, and the surrounding areas. 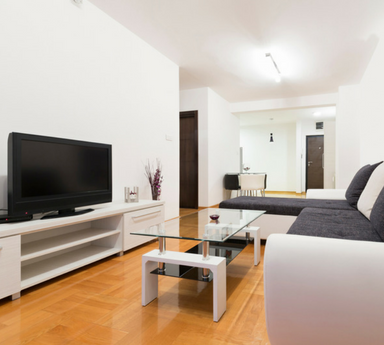 Our full-service specialties include home additions, basement remodels, condo renovations, architectural design services, and investment property analysis. Whatever home remodeling project you have in mind for your Cleveland Park home, we’ll help you design and build the space you dream of. Our years of experience are reflected in the many home improvement projects we’ve done throughout the Washington DC metro area. For most families, the kitchen is the busiest room in the home. It’s where fun meets function, a popular gathering spot where everyone has their favorite area. Home chefs love their favorite prep zones, kids enjoy hanging out or doing homework at the center island, and friends come to perch themselves at the kitchen counter and shoot the breeze over a cup of coffee. Many of Dupont Circle’s older homes that haven’t been updated through the years have cramped kitchens with dated color schemes, chipped or cracked countertops, and scratched cabinets that weren’t designed with today’s modern lifestyle in mind. If you’re getting ready to remodel your Dupont Circle home’s kitchen, it’s important to take the time to carefully plan it out. 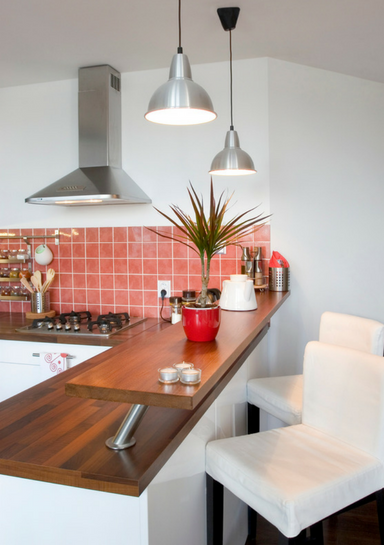 Big or small, kitchen remodels represent a big investment, so it’s worth doing some research. Ask family, friends, and colleagues who’ve recently remodeled their kitchens to share their experience. You can also find inspiration on websites like Houzz and Pinterest. We also recommend pulling images of cabinet styles and color combinations you like from home improvement magazines. If your kitchen remodel includes taking down one or more walls to create an open floor plan, we’ll go over which options are available based on your home’s current structure. We’ll also discuss the best layout, which materials most perfectly match your family’s lifestyle, and suggest color schemes and accessories we think you’ll like. Our designers can show you how to mix and match surfaces, textures, and colors as well as the best placement of cabinets and appliances. When you work with Winthorpe, you enjoy a stress-free experience. 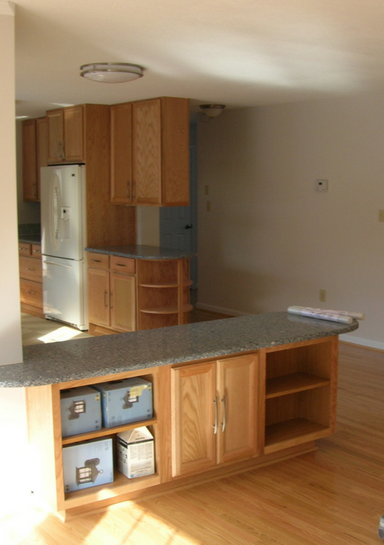 Every one of our kitchen remodels is carefully and creatively planned out. Our designers consider ergonomics, aesthetics, and practicalities, but never compromise on visual appeal. Our 30 years of experience guides you through the process, ensuring you’ll be happy with for years to come with the decisions you make. A basement remodel is one of the most cost-effective ways to add living space to your home, adding significant square footage and turning a dark, damp area into a bright, beautiful new room for the entire family. Many owners of row homes in Dupont Circle are also interested in renovating their lower levels into what’s known as “English basement” rental units. Whether you want to complete a partially finished space, update an old remodel, or get in on the growing demand for downtown rentals, Winthorpe Design & Build’s remodeling expertise can make all the difference. We design your basement remodeling project to your family’s taste and lifestyle and then coordinate with the area’s best tradespeople to bring the design to life. Over the course of our nearly 30 years in business, we’ve done a variety of basement remodels that have earned us our stellar reputation and ratings. We combine the latest design techniques with full-service capabilities to transform any dark and dingy basement into a beautiful and functional new space for entertaining, relaxing, or working out. Our showroom has hundreds of beautiful options for you to choose from – the possibilities are endless! 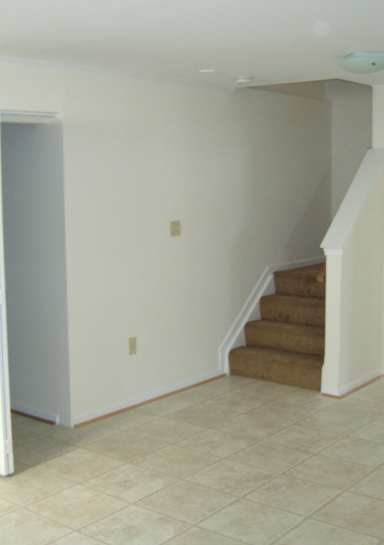 And throughout the entire basement remodeling process, our goal is to design and build for you a new area that satisfies your needs and adds valuable living space for your family’s enjoyment. If you’re a homeowner in DuPont Circle or the surrounding Washington DC metro area interested in a kitchen, bathroom, or other home remodeling project, we invite you to contact us. Together we’ll explore a world of exciting remodeling options that will give you the home you’ve always dreamed of.